The “bring your own device” concept has been around since 2004, so it is not exactly a new trend. However, the significance of BYOD has increased exponentially in recent years, made more cogent by the increase in the use of freelance specialists and the market saturation of mobile devices, such as tablets and smartphones. Although the cost benefits of encouraging employees and visitors to supply the equipment they need for work are clear, the security risks of allowing access to corporate resources from private devices discourages many businesses from adopting the policy. Despite the cost savings of BYOD, businesses in developed economies have a lower rate of BYOD than those in developing countries. North American and European businesses tend to be more risk-averse than businesses in Brazil, India, and the Middle East because they are more likely to be the targets of cyberattacks. Thus, in countries such as Russia, Brazil, and the UAE, 75 percent of workers were using their own personal devices at work by 2013, whereas in the more developed nations, that rate was only 44 percent. Knowledge is power, so in this guide, you will learn more about BYOD. You will discover the risks that you can face when you allow employees and visitors to connect to your network with their own equipment, and you will find out how to protect your business against those threats. Once you have a solid understanding of the risks and the strategies that mitigate those problems, you will have more confidence to decide whether to reap the benefits of a BYOD policy. Although there are many risks involved in BYOD, companies are starting to implement this policy, so there must be benefits that you could reap by following the trend. The main financial benefit of BYOD is that it cuts out the cost of buying equipment. The cost of reassigning laptops and personal devices also has to be taken into account. So, the cost savings are greater for companies that expect to have a high turnover of staff or depend on a lot of temporary staff. Start-up businesses can reduce the amount of capital needed for equipment by encouraging employees and collaborators to bring in their own equipment. If you don’t own the equipment that your workers use, you don’t have any responsibility for replacing outmoded models with the latest technology. You do, however, need to take responsibility for the firmware and potential security risks of those devices and that task requires the technical assistance of specialized software. Businesses that frequently organize events on the company site would also benefit from the policy because making a network available to visitors would aid collaboration. If you want to show potential clients around your premises, you want to be welcoming and allow them to connect to your network, but you also need to show that your company has tight security, so managed BYOD is a lot more preferable than a free-for-all. Of these two access models, the remote access scenario presents more risk to the company because there is a problem of physical security in addition to the complications of data integrity. Sales teams are particularly proficient in using smartphones to make quick calculations, write down reminders, and store contact details. They will probably already be using their own device for company business if you haven’t provided them with one from the company. However, meetings often over-run and salesmen can be in a rush to pack up and move on. They get distracted on the metro and rush off at the last minute at their stops. Those devices often get left behind. A mislaid, lost, or stolen laptop, smartphone, or tablet can seriously disrupt a sales effort just because of loss of the information that is stored on it. If that device also has access to the company network, the thief may quickly sell it to a hacker and then your network and company data has been compromised. This is particularly the case when busy people don’t bother to lock their devices with a passcode. The physical risks of BYOD may be the major factor that discourages you from allowing employees to use their own devices for company activities. However, as has already been pointed out, they probably are already using their own devices to store their work information, and as they are out in the field, there is little that you can do to stop this habit. If you can’t stop remote employees from using their own devices, the only option is to embrace the practice and control access to information. Getting that sales contact information backed up off the mobile device and onto the company CRM system is a priority. Not only does a lost phone lose those sales lead details, but a salesman that gets hired by your competition takes all of that stored data with him. You want to provide online apps that encourage remote employees to store all potentially profitable information on your servers and not on their own devices. So, if they walk, they lose access to all the intelligence that you paid them to gather. Mobile device management (MDM) systems can track the location of all devices used for the company, no matter who owns them, so BYOD devices be located as well. You need a system that allows you to lock mobile devices remotely, or wipe all data should the designated users lose sight of them. Remote wiping is a common solution for company-owned devices but may prove controversial with BYOD owners. If a survey of employees proves that they would be unwilling to allow all data from their phones to be wiped, there are other strategies that you can employ to ensure your company’s system is not compromised. Whether your employees connect to your network within the office or from a remote location, you run the risk of malware spreading from their own devices onto the system. When the workers are out in the field, or when they are off the clock, they have every right to take their own laptop, smartphone, or tablet wherever they want and do what they like with it. There are many entry points to a device for a virus. One of the main methods that Trojans use to spread is through email attachments. PDF formats, Word documents, and video in particular pose risks. You are no doubt aware of those risks and have policies in place on your corporate email system to block these forms of attachments. However, those rules don’t apply when the owners of devices access their own email in their own time. Other virus risks come from “cross-site scripting” (XSS) where hacker code is injected into web pages and downloads onto the device when the page is loaded into the browser. Again, you can block XSS on your own network, but not on the devices of your employees. Some employees might like to download files with the BitTorrent protocol in their spare time. This is another virus access point. Employees are likely to take their devices out with them to restaurants and bars, or to hotels on vacation. They may connect to wifi hotspots, a popular avenue for hacker intrusion. There is actually an international ring of hackers that specializes in infecting mobile devices while in hotels. The hacker group is called Darkhotel and they infect devices indiscriminately, not just the laptops of national security officials and ambassadors. Any employee with BYOD access to the company network is valuable to Darkhotel, and any company will do. These hackers operate a form of attack called an “advanced persistent threat.” They will gain access to the company network and gradually break passwords to get into databases and file stores, enabling them to riffle through your product designs, your purchase orders, your sales contacts, and your employee data. No matter how small or mundane your business is, the information contained in your system is valuable to identity thieves. A Chinese hacker group operates a cybercrime infrastructure called the terracotta VPN that provides cover for hackers by running connections through the networks of unsuspecting companies. These factors may be the major reason that you want to prevent employees from accessing your company network with their own, possibly virus-ridden devices. However, there are solutions to all of these problems. You can’t tell employees what they can and can’t download on their phones. However, you can tell them that they are not authorized to access the network. Your mobile device management system should be able to gain access to the device periodically and sweep it for viruses and keyloggers. If any malware is detected, the system should quarantine the device until it has been cleaned. 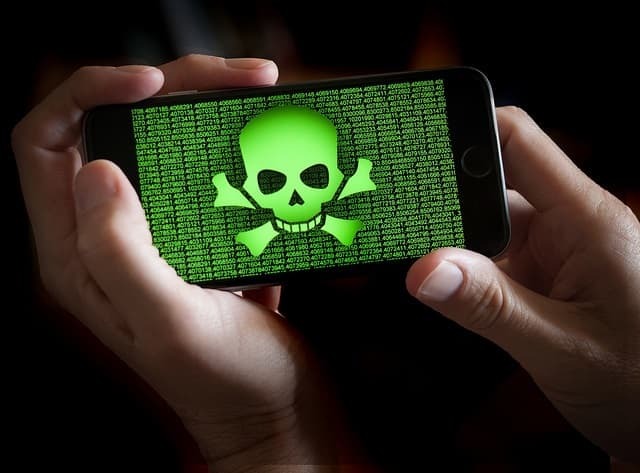 Jailbreaking is another threat to your company network because it allows access to the underlying kernel of the phone and bypasses the operating system to operate beneath virus protection. You need a system that detects jailbreaking and bans those phones from accessing the network. You may need the permission of the user to perform a virus clean or restore kernel access restrictions. In fact, it would be better to provide a guide on how the device owner can use company tools to clean the detected viruses off their own phone. Your network would be better protected if you could control the security of the entirety of every device that connects to it. There are two ways to deal with virus protection and communication privacy. You can offer all employees connecting to the network with their own devices free virus protection and VPNs to secure all of their connections at all times, or you can use a method known as containerization. With containerization, you supply applications through a company portal, possibly in the form of a secure browser. Access to the company network can only be achieved through that portal. You make a VPN available for that app so all communications between the device and the company network will be protected. However, all of the user’s other activities will not be protected. Mobile application management (MAM) systems take care of these portals. This is similar to virtualization—dumb terminals use the processing power of another computer—and is also the same method that cloud-based apps employ. Containerization keeps company communication and personal use of a mobile device separate. MAM ensures all of the work performed on a mobile device is actually resident on an on-premises server, which can be monitored and controlled. One more system is available to help you cut down on virus risk. This is mobile email management, or MEM. These systems give secure access to the company email system over encrypted connections. Storage only occurs on the company’s own protected mail server. MEMs enforce company policy on emails, such as blocks on downloading attachments. All of the factors explained in the physical risk section of this guide also apply to the risk of disclosure of company information. The likelihood of employees using their own device to access the company network through wifi hotspots is very high. People enjoy the status of being needed for their job even out of office hours and will answer calls from work, even if they occur in the middle of the night. Similarly, they will pick up alerts from the network and check in on information even when they are on vacation or out to dinner. Accessing the company network over the internet gives essential, on-call staff such as IT support specialists the ability to do their jobs around the clock. However, if they access the internet from a restaurant or hotel wifi system, they run the risk of exposing all of the data that is passed back and forth to a man-in-the-middle attack (MITM). Employees who can access company information at home might be more likely to leave their laptops running with the screen active while they walk off to the kitchen to make a visitor a cup of coffee. Without needing to enter commands, that visitor would be able to read the open document, or take a snapshot of it with his own mobile device. That visitor does not need to be an international industrial spy. However, a neighbor with heavy car loan payments might be interested in selling embarrassing or innovative information to the press. The loss of devices is not just an inconvenience in terms of hardware, but it also breaches confidentiality if sensitive company data is stored on it. If your business has operations in Europe, the advent of the General Data Protection Regulation, which is in effect as of May 2018, makes the protection of personal data a critical business need. That information may pertain to employees, customers, or even market research, and if anyone can prove that you have not taken sufficient steps to protect that data, they can sue you and your company will be heavily fined. Cash-strapped or disgruntled employees will find it a lot easier to copy over or print files containing sensitive information from home than they would in the office, where their actions could be observed. So, distributing files to be stored on employee-owned devices presents a confidentiality risk. With many employees given access to the same information, identifying the source of an information leak would be difficult. The loss of confidentiality may discourage you from implementing BYOD. However, many of the risks listed above already exist on your private office network, so you need to address the problems of virus intrusion, internet security, and disclosure by employees anyway. The systems that you need to implement in order to prevent information leakage on employee-owned personal devices will actually strengthen your corporate data confidentiality. If you make business applications available from an application server, using MAM, you can also demand that files be stored remotely and not allow storage of corporate documents and data on employee-owned devices. A number of different security tactics for company data are available through mobile content management (MCM) systems. If you choose to allow documents to be transferred to the device, then MCM systems can track versions of documents, stamping them, so the source of a leak can be traced to a specific copy of a document. These MCM systems can also disable the text copy functions of apps running on mobile devices and make it impossible to print, copy, or email documents. Man-in-the-middle theft of information can be prevented by applying a VPN to all official communications. The problem of an employee leaving a document open on a device when they temporarily walk away can be solved by enforcing screensaver locks. The problem of theft or loss of devices is taken care of by the automatic lock and location tracking methods of MDM systems. MEM systems ensure that your employees’ official emails are protected from snoopers in transmission and at rest on the email server. There is no technical solution to disgruntled or desperate employees showing company data to third parties. However, making the original document impossible to move goes a long way to blocking anyone having any proof of controversial information. Also, the ability to withdraw the individual’s access to the network effectively ends the risk, particularly if you only allow the central storage of data. One easy alternative to the BYOD solution is to ban employee-owned personal devices from connecting to the network. This would be an unpopular move. Surveys report that the hardware cost savings of letting employees use their own devices at work is not the biggest benefit of BYOD. In fact, it doesn’t even make it into the top three. A 2016 survey by LinkedIn’s Information Security Group and Crowd Research Partners discovered that companies rated increased employee mobility as the main reason they chose to implement a BYOD policy (63 percent), employee satisfaction and productivity gains were the next two top reasons that companies implemented BYOD, with 56 percent and 55 percent ratings, respectively. If you have considered the risks of BYOD and decided that they outweigh the benefits, then there are some other strategies that you could consider. The POCE acronym is actually just an alternative phrase for BYOD. However, it highlights a successful BYOD strategy. Very fundamental BYOD involves giving the wifi password to employees so they can access the internet at work without having to use their personal phone plan’s data allowance. However, such a strategy would be foolish. The “company enabled” part of this name shows the way. You need to manage all mobile devices whether owned by the company or owned by the employee. With company-owned equipment you can take control of the device entirely and ban the user from loading any apps onto it other than those installed by the systems administrator. With BYOD systems, you need to set up a portal that cordons off part of the phone for business use during work hours. The user only accesses the company network through that portal and the rest of the phone is available to the user. As the name suggests, in this scenario, the device is owned by the company, but the employee is also allowed to use it for personal reasons. However, the company ultimately owns the phone and has rights over it. This enables you to lock or wipe the phone in emergency situations. The user may lose any personal information stored on the phone, but that situation should be explained at the point of issuance. By this strategy, the company retains the rights over the phone and all data stored on it, even if that information was saved by the user. This is a variation on company-owned devices that uses a little marketing savvy to get employees onboard with the idea of using mobile devices for productivity gains. The company will buy devices in bulk and gain special discounts for doing so. Instead of buying all of one model, the IT department buys a range of devices. Each employee is then able to select a device rather than being allocated a model. This policy can even be presented in the form a catalogue, which feels like a purchase process and wins the enthusiasm of the employee. Whether the phone should be available for personal calls and internet access is a matter for company policy. However, thanks to automated mobile device management systems, the administration of mobile devices is not made more complicated just because the models controlled by the system are diverse. In some cases, MDM systems are dedicated to one operating system. In these instances, the specialization usually focuses on iOS devices. However, the exact model of the device is not important even in these environments. If you have decided against the BYOD policy, that doesn’t mean that you can’t involve mobile devices in your IT strategy. A number of industry-specific devices could be used in your service delivery. Barcode scanners and point-of-sales devices fall into this category. Smartphones and tablets can also be used as sales devices. You can restrict the apps that can be loaded onto a device and make it part of a store display or a piece of sales demonstration equipment. This is called “kiosk” mode. In these cases, the user would need to use a separate phone for personal calls and messages. In earlier sections you discovered mobile device management (MDM), mobile application management (MAM), mobile content management (MCM), and mobile email management (MEM). You can buy software to implement any one of these solutions, or get a bundle of all of them, in which case you need to look for an enterprise mobility management system (EMM). The good news is that these systems are so comprehensive that you no longer need to worry about employing mobile devices in your business. Whether those mobile devices are owned by the company or owned by employees makes little difference. MDM systems can cope with all scenarios. The software industry has taken note of the risks of including mobile devices in a company network. The possibility of BYOD has created some innovations in the mobile management software market that have raced ahead of traditional network management systems. Enterprise mobility management systems have become so impressive that you will wish you could have the same level of control for your physical office network and all of its attached devices. You can. If you want EMM for all of your network, then you need to look for unified endpoint management (UEM) systems. They are out there and usually provided by the same vendors that produce EMM systems. Comparitech has a special feature on mobile device management systems. However, if you don’t have time to hop over to that other article, here are summaries of the recommended top ten MDM systems for 2018. 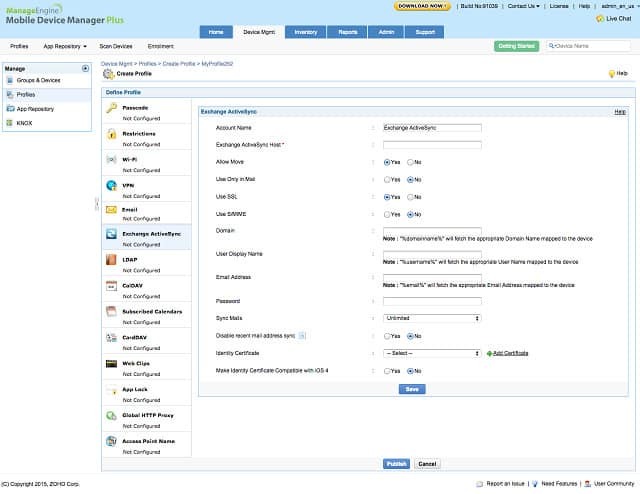 ManageEngine produces a range of infrastructure management software and the Mobile Device Manager Plus system fits well with the company’s other network and server monitoring packages. You can buy this MDM system as a software package to install in your offices or subscribe to a cloud service. As well as an MDM, this suite includes mobile application management, mobile content management, and mobile email management, so it is the complete EMM package. The management options include services for BYOD, which starts with an enrollment app to get a device included in the network. If you have company-owned devices, you can configure them in bulk or individually. Policies can be defined for different groups of devices, making it easy to set separate configuration options for BYOD and company-owned devices. 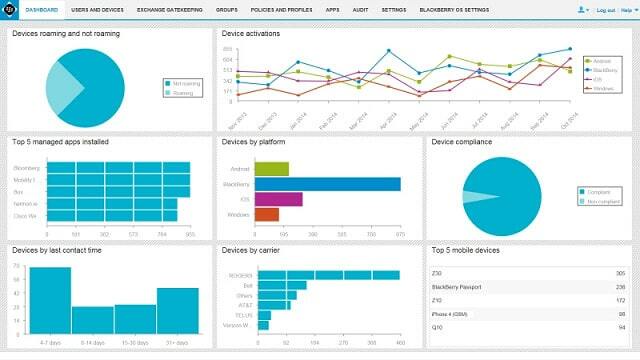 Remote access to all devices is facilitated through the system dashboard. It enables you to view the screen of a device, explore the file system, and run programs to fix problems. You can lock or wipe lost devices remotely. The console is able to locate all devices. The system will periodically test each device, search for malware, and detect jailbreaking. All communication between the device and the network is encrypted, and a fully encrypted email management system is also available. The system is free if you only need to manage up to 25 devices and there is a 30-day free trial for the paid plans. 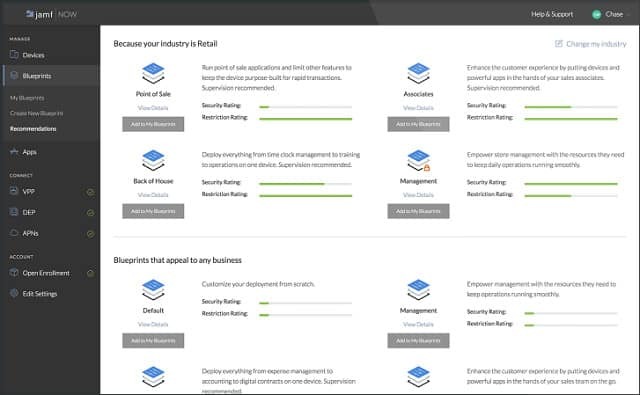 AirWatch is a division of VMWare, a leader in virtualization, so this cloud-based service includes mobile application management that mimics virtual terminal methodologies. The onboarding of BYOD is carried out by an enrollment app that you make available to the device owner. If you also have company-owned devices on the network, the system enables you to treat these two ownership groups differently through customizable policies. 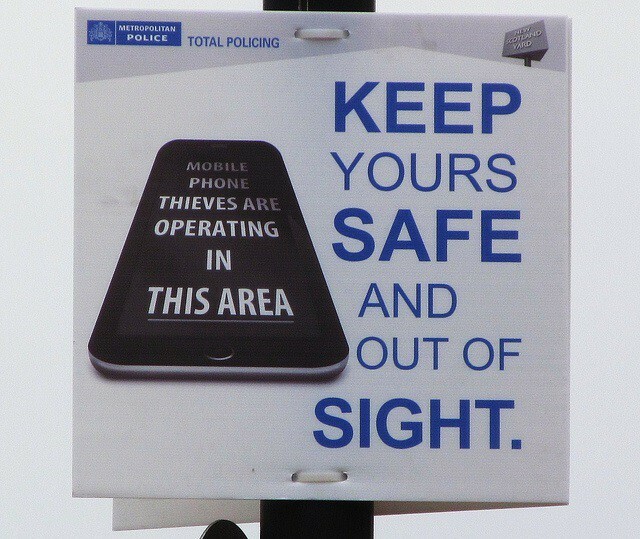 You can check all phones for malware and jailbreaking and quarantining suspicious devices. All communications between the network and the device are encrypted and the more expensive plans include a proprietary VPN, which is called VMWare Tunnel. For user-owned devices, that encryption can be applied just to the apps that access the network. Access control processes use two-factor authentication can include biometric checks. A secure email system is also available with Workspace One . Remote access to all devices will enable you to troubleshoot and diagnose problems. This facility gives you screen view and the ability to execute programs. Remote control functions all give you the ability to lock or wipe phones and the location of all active devices is tracked live on a map. The option to monitor and limit the use of corporate cell phone service plans comes with the more expensive Workspace One packages. You provide an app catalog, which can be tailored for groups of devices. The system checks automatically for installed apps that are not on a whitelist. The Workspace ONE package is available in four service levels and you can get a 30-day free trial. BlackBerry offers a UEM system to cover all the devices on your network, or an Enterprise Mobility Suite that just covers mobile devices, wifi-enabled equipment and wearable technology. You can download and install software or opt to use the management system as a cloud-based service. You can configure your own devices en masse, or make secure apps available for user-owned devices. The question of whether users would let you wipe their phones in case of loss is not an issue with the BlackBerry system because it does not include that capability, nor does it include a device location utility. You will be able to access devices remotely, however, and the functions you can perform on all managed devices include locking in case of theft. Secure email and messaging capabilities are available as an optional extra as is a CRM package. The cheaper package consists of MDM and a basic MAM. To get more comprehensive mobile application management and mobile content management you need to sign up for one of the more expensive plans — there are five different service levels. All of the mobility plans can be assessed with a free trial. Citrix is the main rival of VMWare in the virtualization market and their expertise in that field extends to their application delivery for XenMobile. This MDM package includes excellent mobile application management and mobile content management utilities. Citrix includes proprietary email, messaging, collaboration, and file sharing utilities in XenMobile. Include any other app through a technique, called “Wrapping.” This applies a layer of encryption to all communications for that app between the device and the server. If you develop your own in-house apps, they can be made available securely to the mobile devices on your system with the addition of just one line of code. Citrix has a special procedure for dealing with user-owned devices. This is called a “MAM first” policy. The security of the applications made available to user-owned devices substitutes for the protection extended to company-owned devices by the MDM system. Nothing is loaded onto the device other than a network login app. Once the owner logs out of that portal, there is no corporate property on the device. This is a great solution to the thorny issue of wiping lost phones. 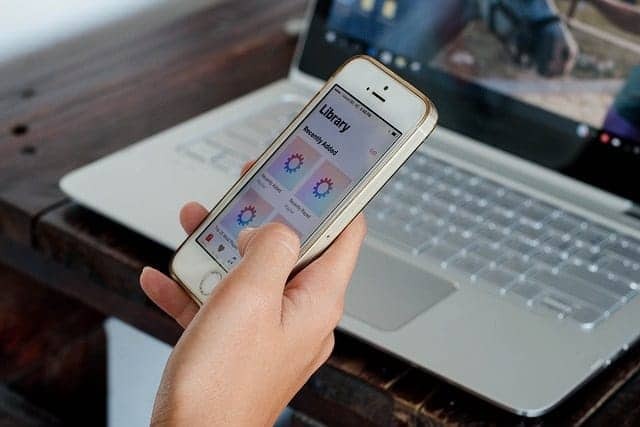 Users can access their account from any device, so they can start a project on their desktop computer and then continue accessing that work from their mobile device when they leave the office. This is a very sophisticated solution that supports flexible working practices and you can get a taste of it with a free trial. Cisco Meraki is a unified endpoint management system that monitors all of your office equipment as well as mobile devices. However, you can structure your service so that it only monitors mobile devices. It works with Windows, macOS, Windows Phone, iOS, Android, Chrome OS and Samsung Knox operating systems. BYOD inclusion starts with an enrollment process performed by the device owner. Company-owned devices can also be added to the system and configured in bulk. Configuration options can be managed by groups, allowing you to set different policies for groups of users or types of devices. Meraki has a great device tracking feature that shows the current location of all equipment on a map. Lost devices can be locked or wiped. Meraki is able to monitor call and data plan usage. It is possible to limit corporate account usage for devices that show excessive consumption or those that have been lost or stolen. The mobile application management and mobile content management functions of Meraki are combined in a system called Backpack. The administrator bundles together applications and data storage and then makes that package available to a group of users. Different application bundles cater to different work roles. 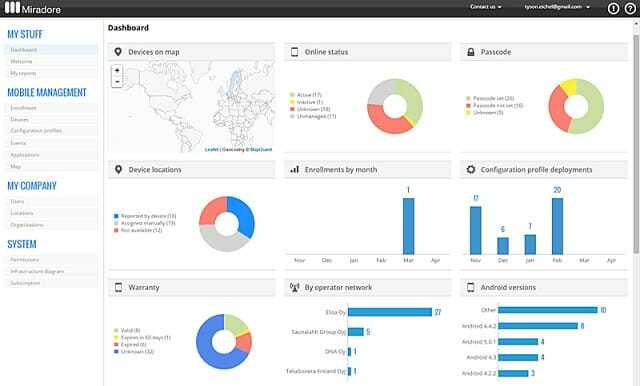 Intune is a cloud-based unified endpoint management system. It can manage computers and mobile devices running Windows, macOS, iOS, Android, and Windows Phone. If you just want an MDM, you may only register mobile devices. User-owned devices can be treated differently to company-owned equipment. An enrollment package allows users to enlist their devices. Within Intune, policy options give you control of the whole phone or just deliver secure apps to a device. The latter is probably a more palatable option for BYOD. Security features include location of lost or stolen devices (only for iOS), remote locking, and phone wiping. There is no remote access function with Intune, which may make this system preferable for BYOD scenarios. However, it is possible to scan all mobile devices for unauthorized apps and malware. In the case of app-only access, these functions would not be relevant, leaving responsibility for the rest of the device to the owner. 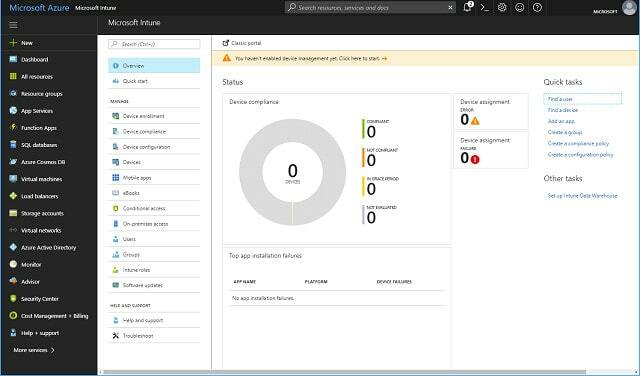 Intune is the lower level of a three-level service. The higher plans are called E3 and E5. These two packages have stronger security features than Intune and better application delivery systems. Mobile content management and secure email are only available with E3 and E5. Microsoft offers a 90-day free trial for Intune, E3, and E5. SOTI MobiControl is an on-premises software package that runs on Windows. You can manage Windows, iOS, and Android devices and also specialist industry devices and IoT equipment running on Linux. It has a very attractive dashboard that includes visualizations such as graphs and charts. A map shows the location of all managed devices. MobiControl can manage the entire mobile device or restrict network access to specific apps, leaving the user-owned device available for out-of-office private use. Although you can configure devices centrally and bulk configure company-owned devices by group, there is a self-enrollment package that allows users to enroll phones themselves. The client software available with SOTI includes a secure browser. This is the access method for BYOD scenarios, delivering apps to devices not owned by the company. File storage is kept off the device, making the risk of loss less critical. The mobile content management module of MobiControl is called SOTI hub and keeps all files on a central server. All file access is logged. 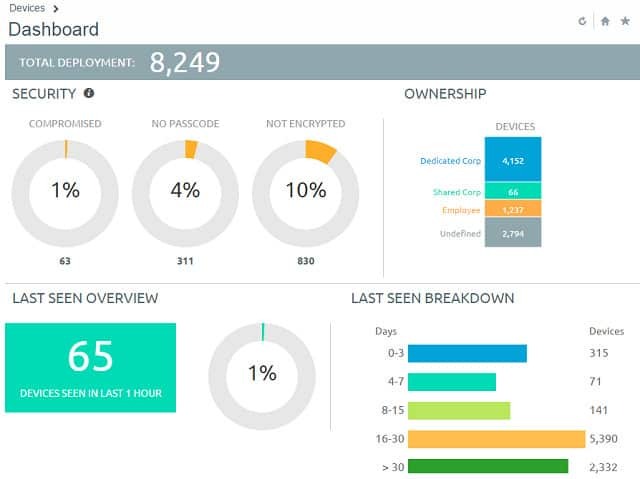 The management dashboard inclues remote lock and wipe functions. 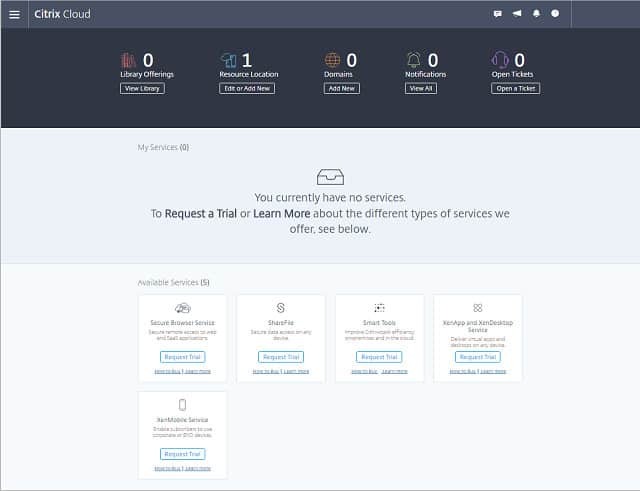 The central administrator can remotely access managed devices, which gives a view of the screen and the ability to execute programs in order to fix problems. Start using MobiControl before you pay for it. The software can be downloaded directly from the SOTI website and you get a 30-day free trial. Miradore Mobile Device Management package is a cloud-based service. There are three service levels and the lowest of these is free of charge. The paid versions are the Business Edition for $1 per device per month and the Enterprise Edition for $2 per device per month. Although the free version is just an MDM system, the Enterprise version, which includes MAM and MCM, is still cheaper than most of the other services on this list. Miradore is not one of the major players in the infrastructure management software market, but its service competes very favorably with the leaders of the industry. Miradore is able to manage mobile devices running Windows, iOS, and Android. All plans include end-to-end encryption. Remote control functions allow you to locate all equipment, lock or wipe a lost device, reset passwords, and bypass any hardware password set by the user. Miradore uses enrollment-based configuration, which is fine for BYOD. However, you can’t bulk configure a fleet of company-owned devices. The software includes secure email apps and wifi protection. A VPN service is only available for iOS devices. The Enterprise plan includes mobile application management. In a BYOD environment, you would need the “containerization” solution, which isolates the apps on a device that are allowed to access the company network. This is also only available with the Enterprise plan. Other special features reserved for the Enterprise plan include data and cell plan usage monitoring and web content filtering. The free plan includes standard report formats, and you can customize reports with the two paid packages. As you would expect, a number of features are available only to paying customers, such as live support. Jamf Now is a cloud-based service that only controls iOS devices. The service is priced per device and the first three devices are free. The enrollment process is very well designed. Send a link to a web page containing all of the sign up details necessary to include a device in the network to the device owner. Completion of the enrollment triggers and automatic configuration procedure that installs an encryption client on the device. If you have company-owned devices as well, create a “blueprint” configuration and then apply that to group a group of devices. You can create several blueprints for your network. Managed devices send out alerts to warn of jailbreaking or unauthorized software. Get an inventory of the spare storage capacity, installed apps, and the serial number of each of the devices on your network. Allocate a passcode to each device. Two-factor authentication is available. Procedures for lost phones include lock and wipe options. A phone marked as lost will signal you its location. Jamf Now relies on the Apple Volume Purchasing Program for mobile application management. A version control utility lets you check on the operating systems of your managed devices and roll out updates when they become available. 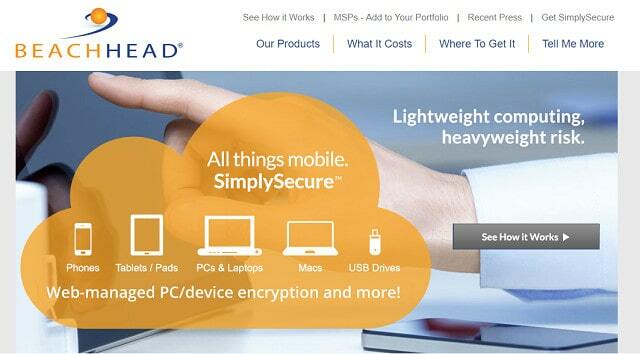 SimplySecure is a cloud-based service that can manage iOS and Android mobile devices as well as portable storage. The system can manage desktops and laptops, giving you unified endpoint management. You may only purchase an annual subscription directly from the SimplySecure website. It is possible to get a monthly rate, but only through resellers. The service is charged at a different price per unit for desktops and laptops, mobile devices, and USB storage. The service includes device tracking, and lost devices can be wiped remotely. The utility to reset passcodes centrally works as a lock in cases of theft. Encryption protects communications between each device and the company network. Data stored on the device can also be encrypted. Optional coverage for USB storage devices is pretty unique and a great boon for small companies that employ portable storage as a space saver for mobile staff. SimplySecure is a straightforward UEM system suitable for small businesses with no in-house systems administrators. MDM systems can greatly increase your control over mobile devices used for your business whether you own those devices or your employees do. A complete enterprise mobility management solution not only replicates the security on your private network, but takes it a step further. Mobile devices can enhance the competitive edge of any company. If you don’t want to risk BYOD, then try one of the other deployment models outlined in this guide. CYOD is a particularly clever strategy that gives employees a feeling of being valued: “The company is buying me a phone!” If you want to introduce mobile devices into your work practices, you will be watching your employees walk out of the door with the equipment that you paid for. Making them feel that you bought the phones for them boosts morale, getting you extra productivity benefits out of the purchase. Providing mobile equipment for employees is a risky business and keeping track of issuance is important. In a famous example, Coca Cola lost a large amount of mobile devices to one employee who was a serial loser. Each loss took network access and stored company data with it. Allowing BYOD solves the problem of lost hardware along with all of the data on it. The industry has come a long way since the Coca Cola laptop heist, and you can thank your MDM system for saving you a lot of money. It keeps track of your property wherever it goes and because it gives you the confidence to allow employees to connect their own devices to the network, saving you the cost of buying equipment. Notice the MDM systems listed in this guide manage both company-owned equipment and employee-owned mobile devices. That gives you an opportunity to get the best out of a mobile strategy by employing a hybrid approach. The tracking of company-owned devices gives you a fallback position and should allow you the confidence to lay down strict ground rules. Staff who refuse the terms of connecting to the network with their own devices can be issued a company device. The CYOD strategy can also be integrated into an employee incentive scheme. A better phone or tablet could be offered to those who win points for improved productivity or success on company-approved training courses. The bottom line is that mobile devices have become a useful tool both as an incentive for improved performance and as a bare, straightforward productivity gain. Update your system monitoring software to include enterprise mobility management and reap the productivity gains and cost savings of BYOD. Wow…this is one detailed and informative article that was totally worth the read. BYOD is on the rise and every company should read this article to understand the concept better, take the necessary precautions and hire a managed IT service provider to do the rest for you. Thanks for sharing this article up here! This is like a complete guide for BYOD. I didn’t read the whole thing, but whatever I read, I could connect to it. Thanks for sharing such an informative post. Excellent read, and a lot of that info has helped me with my business case. Thanks. Thanks for spotting that one. I have corrected the error.